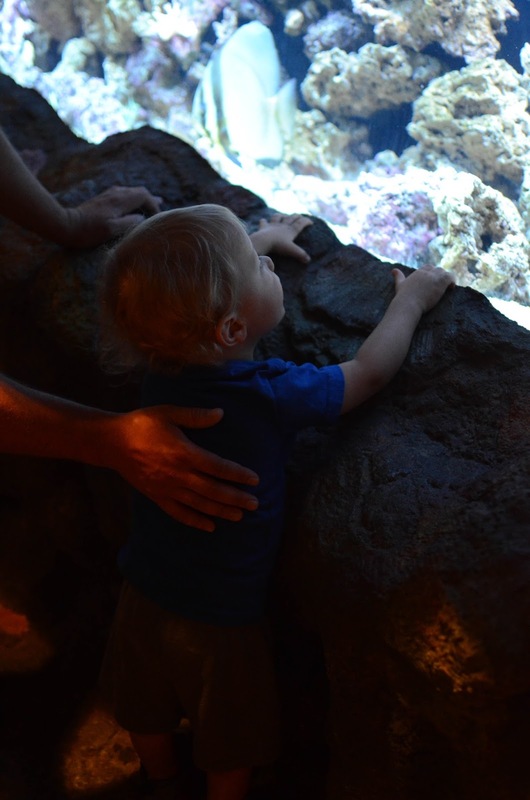 His whole life, the whopping 21 months he has existed on this earth, he has been fascinated by aquariums and by water. He loves watching fish swim along and the bright colors in the tank. This weekend he discovered the word "fish," however is pronounced more like "ish." This tank was at The Wildlife Experience. We went for the very first time on Sunday afternoon and he had a ball running through the exhibits. It will be a great place to go back to this winter on a cold, snowy day.